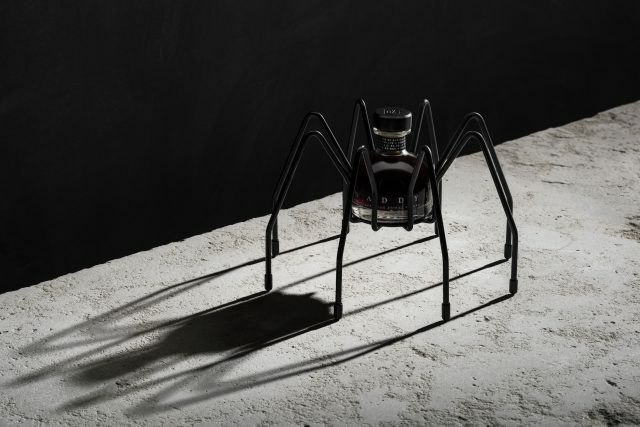 Australia’s d’Arenberg unveiled a creepy limited edition fortified wine earlier this year – Daddy Long Legs Extra Rare – housed in a striking spider-shaped holder. The wine itself is made from 50-year-old fortified wines, stored since 1884 in shed inhabited by hundreds of Daddy Long Leg spiders, hence the name. Made from a blend of Grenache, Shiraz and Mataro (Mourvedre), the original fruit was crushed by foot treading and basket pressing, with the fermentation stopped by adding grape spirit and then aged in casks. The average age of the wines used in this release is more than 50 years, with wines in the solera dating back to 1928. Only two barrels remain, with 50 bottles of the Daddy Long Legs Extra Rare being made available.